The Academic are no strangers to the Irish music scene. The band formed in 2013 and consists of Craig Fitzgerald (lead vocals and guitar), Dean Gavin (drums), Stephen Murtagh (bass) and Matt Murtagh (guitar). The Westmeath boys have gained significant media attention over the past few years. In January, they finally released their debut album. Tales from The Backseat contains ten indie rock tracks with a hint of pop punk. The songs create an energetic air of youth, much like The Strokes and The Kooks. They are a collection of upbeat tunes that will have you singing along to the nearly too relatable lyrics. ‘Bear Claws’ is without a doubt the best song on the album. Its buoyant rhythm and catchy lyrics will have you listening to it on repeat for days. There’s something quite satisfying about listening to this song and knowing everyone goes through a heartbreak at some stage in their lives. ‘Different’ is another standout song. The simple, minimalistic lyrics work really well with the lively background music. ‘Why Can’t We Be Friends?” is an outlier in the album as, contrary to what the title would have you believe, it is not about romantic relationships. It is a testimony to all peoples of all kinds about living in ‘global peace and harmony’, with a message that feels meaningful, relevant and timeless. ‘Bite my tongue’ is a song about knowing when to refrain from fighting with a friend and just letting it go. It has the same peppy indie sound as the rest of the album but lyrically it resonates with the listener. ‘Northern Boy’ is the only slow song on the record. It is both uplifting and moving. Craig’s vocals compliment the tune beautifully. This song definitely sends the most touching message on the album. ‘I feel it too’, ‘Fake ID’, ‘Television’ and ‘Girlfriends’ are the remaining up-tempo beats that don’t vary much in the way of sound. 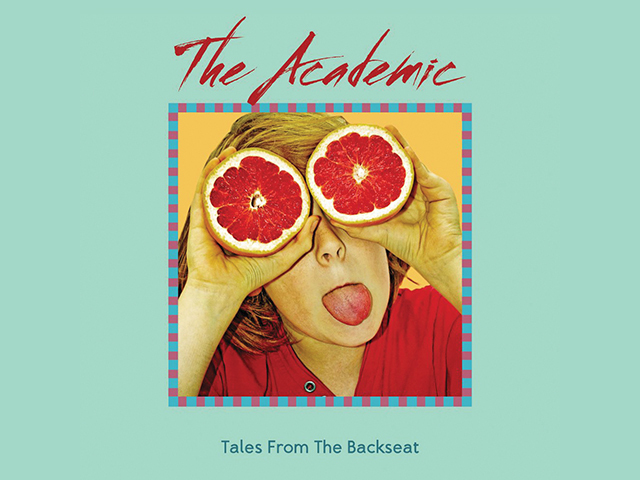 While Tales from the Backseat is not a ground-breaking album, it is certainly very enjoyable and will have you bopping along to its indie beats.